I love fruit. I just love it. I love growing it, I love consuming it. Living in Europe has been surprisingly delightful in this arena. There are markets everywhere. And even better, one can find the funkiest of fruits at the average grocery store. This week, I was stopped in my tracks by this remarkable thing. I had no clue as to what it was, and so clearly I bought it and brought it home. Google is a beautiful thing. Apparently this is a pitaya, also called a dragon fruit. ​To eat, one slices it in half and scoops out the insides. It was mild and sweet. I would call it a bizarre and delicious cross between a kiwi and a melon. And another success in fruit adventuring. 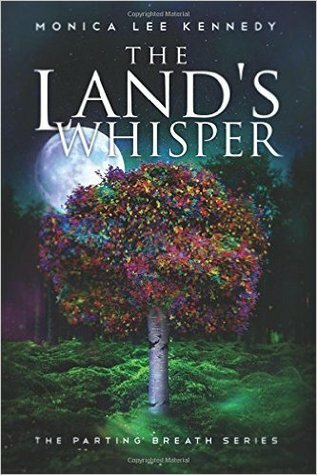 Enter to win a free, signed copy of The Land's Whisper​ on Goodreads! Marie Kondo, author of the Life Changing Magic of Tidying Up, is a professional consultant who helps clients "tidy" their homes. Step 1: Throw out anything that doesn’t spark joy. I originally wrote an entirely different review. But it has irritated me every time I saw it on my Goodreads books or the website. ​So here is my revision. I was pretty enamored with this concept until about a month after I had begun clearing things out. That was when I realized that what gives me joy is HAVING things. And more specifically having EXTRA things. Having a spare set of sheets that I don't love is magical to me in the middle of the night when a kid throws up for the 4th time. And having junk clothes is fabulous to be able to give my kid to cut up to make fairy clothes. I guess after some time away from this book, I was glad to have read it because it helped me to look at my things differently, but now I wish I had not been so gung-ho to toss everything. Because raising a family isn't about having a perfect house or being perfectly ordered. For me, I like having things that help me do LESS work. I want items to help me to be less stressed so that I can focus instead on being with my family and taking care of them more cheerfully. Maybe that means a junk bag of old socks that I loathe, but those old socks just became the puppet show game that distracted my kids and enabled me to make dinner.